The Distinguished Service Cross was presented to Staff Sergeant Gary D. Brewer for extraordinary heroism for actions against an armed hostile force in the Republic of Vietnam while serving with Troop C, 3rd Squadron, 4th Cavalry, 25th Infantry Division. His actions took place on 31 January 1968, while defending Tan Son Nhut Air Base during the enemy’s TET offensive. A sizeable Viet Cong and North Vietnamese Army force penetrated the base defensive wire and occupied positions along the runway. Sergeant Brewer maneuvered his platoon to attack the enemy’s flank and successfully cut off their penetration. During the battle, the enemy fired volumes of rocket, machine gun, and small arms into Sergeant Brewer’s unit wounding or killing many men of his unit. Finding all of the unit’s officers either killed or wounded, Sergeant Brewer immediately assumed command and deployed his troops for a five-hour long struggle. Undaunted by the enemy fusillade, he maintained communications with his squadron commander and directed evacuation of the wounded and air resupply. He frequently dismounted his armored vehicle to fight and direct fire of fellow soldiers. His courage and professional guidance instilled confidence in his men. Sergeant Brewer’s outstanding leadership under extremely hostile conditions contributed significantly to the overwhelming defeat of the enemy. His extraordinary heroism and devotion to duty were in keeping with the highest traditions of the military and reflect great credit upon himself, his unit and the United States Army. Born in Boonville, Indiana, James Koutz was elected National Commander of the 2.4 million member American Legion in 2012. James Koutz is a veteran of the Vietnam War. He received his Army training at Fort Ord, California, and Fort Knox, Kentucky. 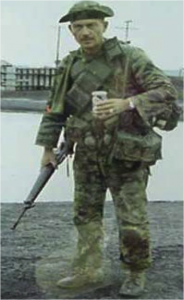 He was honorably discharged from the Army as a Specialist 5 in March 1971. James has held elected and appointed offices in the American Legion at the post, county, district, department, and national levels. 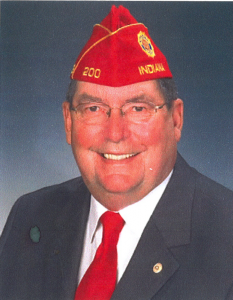 He has served as the Indiana State American Legion Commander and at the national level he has also served on the Foreign Relations Commission and chaired both the Economics and Legislative Commissions. 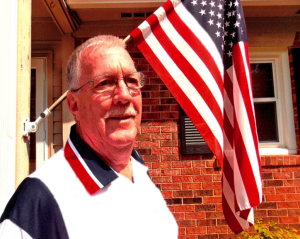 James Koutz is a member of the Citizens Flag Alliance and served on the Veterans Planning and Coordinating Committee. Former Governor Evan Bayh recognized him by naming James a Sagamore of the Wabash, in 1991, and he was recognized by President Jimmy Carter for his outstanding community achievement of Vietnam veterans. Jim and his wife, Vickie, continue to reside in Boonville, Indiana. The Silver Star was awarded, posthumously, to Robert Butler for conspicuous gallantry in action while serving as a Squad Leader in Company M, 3rd Battalion, 5th Marines in Quang Tri Province, Republic of Vietnam, on 18 July 1966. Company M landed by helicopter in Quang Tri Province and immediately came under intense enemy automatic weapon and small arms fire. Sergeant Butler spotted the enemy machine gun emplacement and maneuvered his squad in an attempt to destroy the enemy position. Because of heavy and dense vegetation, he momentarily lost contact with his squad. Without hesitation, and with complete disregard for his own personal safety, Sergeant Butler continued the attack. He single-handedly engaged the machine gun position at close range and succeeded in destroying it. Shortly thereafter Sergeant Butler was mortally wounded by an enemy sniper. By his heroic initiative, indomitable fighting spirit and unwavering devotion to duty, he upheld the traditions of the US Marine Corps and the United States Naval Service. The Silver Star was awarded to Sergeant First Class William E. Butler for gallantry in action against an armed hostile force in the Republic of Vietnam while serving as platoon sergeant and assistant leader of a five-man reconnaissance team with Company D (Ranger), 151st Infantry, on 14 August 1969. While on a reconnaissance mission, a force of more than thirty enemy advanced on his small team’s position and began firing small arms, automatic weapons and rocket-propelled grenades. Though himself wounded from the shrapnel of a rocket-propelled grenade, and disregarding the fusillade of hostile fire from the enemy force, Sergeant Butler moved forward and engaged an enemy rocket-propelled grenade team. Accurate fire from his rifle hit and detonated one of their grenades, killing both members of the enemy weapons team. Sergeant Butler continued to place suppressive fire on the hostile force until it finally broke contact and fled. Sergeant Butler’s outstanding courage and devotion to duty were in keeping with the highest traditions of the military and reflect great credit upon himself, his unit, and the United States Army. The Distinguished Service Cross was awarded posthumously to Sergeant Charles B. Garrigus, Headquarters Company, 1st Battalion, 32nd Regiment for extraordinary heroism in action against an armed enemy near Chosin Reservoir, Korea, from 27 November to 1 December 1950. Sergeant Garrigus was assigned as the battalion assistant motor sergeant when his unit was order to withdraw due to the presence of an overwhelming enemy force. The battalion had withdrawn approximately one mile to friendly lines when Sergeant Garrigus noticed that two US Army trucks had been abandoned at roadside; one truck was loaded with ammunition, the other with food. Sergeant Garrigus ran unprotected across 300 yards of snow and ice covered roads to drive one truck back to friendly lines; he then returned across the same ground, braving enemy fire, and drove the second, bullet-riddled truck to safety. On 1 December the enemy made two attempts to break through a friendly road block to position a captured machine gun which was being employed against a convoy of wounded personnel. Sergeant Garrigus rallied a group of soldiers and, in a daring charge, regained the machine gun, several other weapons, and ammunition, then turned them all on the advancing enemy, killing approximately 60 and wounding many others. Later at a blown out bridge, Sergeant Garrigus retrieved several trucks stuck in the muddy streambed and drove them to safety. Later, driving the lead truck, Sergeant Garrigus attempted to drive through an enemy road block and was mortally wounded by a fusillade of enemy fire. His valorous conduct and consummate devotion to duty brought great credit upon himself, his unit and the United States Army. The Silver Star was awarded to Richard E. Goodwin for gallantry in action in the Republic of Vietnam on 14 May 1969. 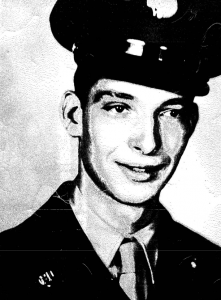 Lieutenant Goodwin distinguished himself while serving as executive officer, Company G, 3rd Battalion (Airmobile), 187th Infantry during an assault on Dong Ap Bia Mountain. As the battle began, Lieutenant Goodwin’s unit came under heavy automatic weapons fire, wounding him in the wrist and forearm. He refused medical attention and evacuation while supervising the extraction of the wounded members of his company. Despite the disabling nature of his own wounds, Lieutenant Goodwin repeatedly braved the hostile enemy fire to move the most seriously wounded men to protected positions for evacuation. His actions were an inspiration to his men and instrumental in reducing the severity of casualties. Lieutenant Goodwin’s personal bravery and devotion to duty were in keeping with the highest traditions of the military and reflect great credit upon himself, his unit, and the United States Army. The Silver Star was awarded to Ronald E. Gray for gallantry in action in the Republic of Vietnam on 31 January 1968. Major Gray distinguished himself while serving as platoon commander of an armed helicopter platoon. He scrambled two fire teams to assist friendly forces under mortar, rocket and ground attack around Bien Hoa and Long Binh, Vietnam. Although under extremely heavy ground fire, he led his teams against a large ground force at Bien Hoa destroying numerous rocket and automatic weapons positions and more than ninety of the enemy. The “head-on” attacks denied the enemy access to the Bien Hoa airbase and disrupted their planned operations. Major Gray was next directed to the 12th Aviation Group Headquarters where personnel were in danger of being overrun. Again, with total disregard for his personal safety, Major Gray directed his fire team to attack the enemy; effectively stopping their attack and denying them access to this sensitive area. Next he was directed to the city of My Tho where another savage attack was underway. Once there, his helicopter began taking heavy fire and his gunner was killed. Risking his own life but, at the same time, ordering others away from the area, he initiated rocket attacks on enemy positions. For the next thirty-six hours he continued to fly mission after mission setting an unparalleled example of his men. Major Gray’s actions in the face of an overwhelming enemy force were in keeping with the highest traditions of the military service and reflect great credit upon himself, his unit, and the United States Army. 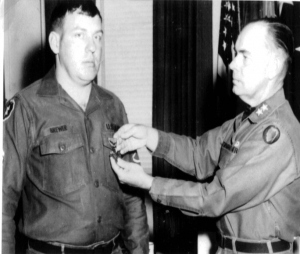 Charles W. Lindewald is recognized with the award of the Silver Star for gallantry in action while engaged in military operations against an armed hostile force in the Republic of Vietnam on 6 and 7 February, 1968. He distinguished himself by exceptionally valorous actions as Special Forces advisor to the Vietnamese strike force platoon defending the Lang Vei camp complex during an enemy attack. His outpost came under a devastating mortar barrage as communist tanks and infantrymen assaulted the main camp and enemy forces quickly surrounded his isolated position. Braving withering fire, he located hostile weapons emplacements and skillfully directed deadly artillery strikes against them. North Vietnamese ground forces advanced and directed withering fire on his position. Although wounded, Sergeant First Class Lindewald refused aid and continued to direct fire and his platoon’s defenses. Completely disregarding his own safety, he repeatedly moved among his men to encourage their fight against the numerically superior attackers. Sergeant First Class Charles W. Lindewald’s gallantry in action was in keeping with the highest traditions of the military service and reflects great credit upon himself, his unit, and the United States Army. 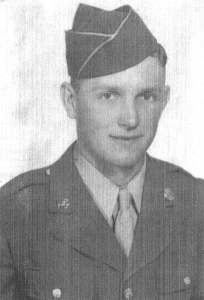 The Distinguished Service Cross was awarded to Sergeant Johnny J. Miller, Jr. for extraordinary heroism in action against the enemy in the vicinity of Waegwan, Korea, on 3 September 1950. SFC Miller was deployed to defensive positions on Hill 300 near Waegwan when elements of a hostile division launched a mass attack, against the hill, preceded by a heavy artillery and mortar barrage. When it became apparent his unit could not hold the hill against the numerically superior force and was ordered to withdraw, SFC Miller volunteered along with two other men to remain at their machine gun emplacement and provide covering fire for the withdrawal of the unit. He remained in position delivering deadly accurate fire, then began throwing hand grenades and finally engaging the enemy in hand-to-hand combat. When his unit launched a counterattack later in the day and regained the hill, Sergeant Miller was found dead beside his machine gun and the surrounding area was littered with enemy dead. The extraordinary heroism and selfless devotion to duty displayed by Sergeant First Class Miller enabled his company to execute a successful withdrawal with minimum casualties and reflected great credit upon himself, the military service and the United States Army. 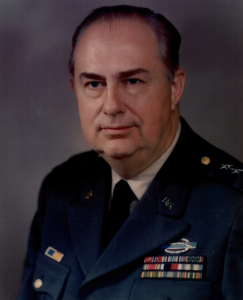 Major General Robert Moorhead distinguished himself throughout his entire life, both in uniform and as a civilian supporter of the military. After graduating from Indiana University, Bob Moorhead attended Officer Candidate School at Fort Benning, Georgia, and saw his first duty station in Germany with the115th Infantry. He returned from Germany upon completion of that tour, in the rank of Captain, and joined the Indiana National Guard. Bob Moorhead remained in the Indiana National Guard eventually being promoted to Major General and commanding the 38th Division. His civilian associations include being a longtime member of the downtown Kiwanis Club where he was instrumental in moving the Kiwanis headquarters from Chicago to Indianapolis. 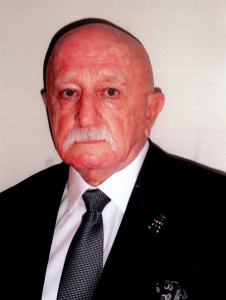 As a Kiwanis member Bob served as club President, District Governor and International Foundation Board President. In 2008 the Kiwanis recognized his contributions by unveiling a state art facility in his name, the Robert G. Moorhead Auditorium, and the Leadership Education Center, both in Indianapolis. Continuing his civic service, General Moorhead served as President of the Crossroads Council of Boy Scouts of America, where he was recipient of the Silver Beaver Award. Additionally, he served as President of Indianapolis Veterans Day Council, President of WFYI Public Television Station, Chairman of the Salvation Army, and Board Chairman of the Indiana Division of the American Cancer Society. For his dedication and service over the years, General Moorhead was honored with a total of five Sagamore of the Wabash awards from five different Indiana Governors. Colonel Don Moreau enlisted in the Navy in 1945, served that hitch and got out for a short time before joining the Army. He retired in the rank of Colonel in 1973. Military assignments took him around the US and the world including overseas stints in Germany, Korea and Vietnam. 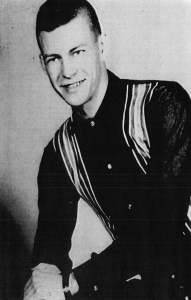 Upon departure from the military Don Moreau entered private business with an old friend in Hartford City, Indiana. After a few years of private business, Don’s expertise in organization and problem solving brought him to the attention to leaders in Indiana government. Lt. Governor Bob Orr appointed Don to be his principal troubleshooter and later, as Governor, made him executive director of the troubled State Student Assistance Commission. Following that assignment, Governor Orr appointed Don to clean up problems associated with the Indiana Toll Road and dispatched him to South Bend. Next the governor assigned Don to help clean up the Indiana Department of Labor and upon completion of that task, the Governor awarded Don his second Sagamore of the Wabash. His next challenge was to take the lead in improving conditions and morale at the Indiana State Fair. Again, Don succeeded beyond all expectations. In 1993 Don, at the request of Governor Evan Bayh, undertook a task to build permanent memorials for veterans of Korean and Vietnam. Working alongside of South Bend Mayor Joe Kernan, the two of them were successful in their mission and the memorials were introduced at the Indianapolis 500 in 1996. Continuing his work for veterans, in 2002 Don was named a member of the National Advisory Committee on Homeless Veterans. On his 80th Birthday, Governor Daniels awarded Don his 6th Sagamore of the Wabash. 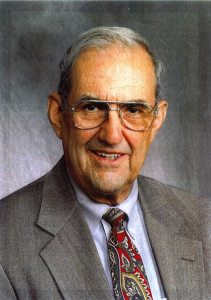 Alan E. Paul, lifelong resident of Indiana was born in New Castle. He enlisted in the Army after graduating from college and served as a Sergeant with the 1st Air Cavalry Division in Vietnam. 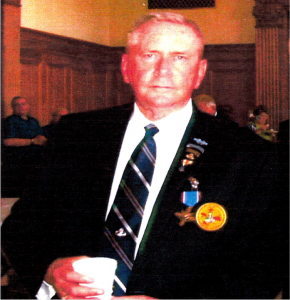 For his service in Vietnam Sergeant Paul was awarded the Bronze Star and the Army Commendation with Valor device. Throughout his tour in Vietnam he faithfully wrote to family and friends back home in Indiana. He later turned his letters into a book, “Vietnam Letters”, which, in turn, was use as the basis for an HBO movie, “Dear America.” His involvement with the movie earned him and Emmy and one of his letters is today posted at the Vietnam War Memorial in downtown Manhattan. 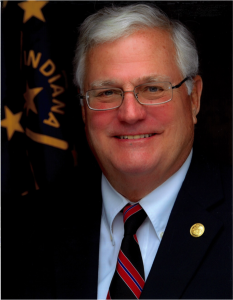 Alan Paul was elected to the Indiana State Senate in 1986, where has served until his retirement this month, November 2014. In the senate he has been an advocate for Hoosier veterans, working closely with the Indiana Department of Veterans Affairs and the Indiana National Guard. Senator Paul authored a law establishing the National Guard Tuition Supplement Program which provides tuition scholarships to any state institution of higher education for Indiana National Guard members. He was instrumental in the Indiana legislatures passing a law granting Hoosier Purple Hear recipients free tuition at state colleges and universities. He also authored laws expanding the Military Family Relief Fund, creating the Hoosier Women Veterans Program, and establishing the Second Service Veterans Program which attracts veterans at the state colleges and universities to careers in teaching. Senator Paul is a member of the Howe Military Academy Board of Trustees and its Alumni Board of Directors. He is a lifetime member of the Indiana American Legion, the VFW, Vietnam Veterans of America and the Marine Corps League. Sergeant Joseph Proctor, a member of the Indiana National Guard, was awarded the Silver Star, posthumously, for gallantry in action while serving as a Military Transition Team Trainer in Anbar Province, Iraq. On 3 May 2006, Sergeant Proctor had volunteered for duty at Observation Post 293 when it came under an intense attack by insurgents. At the beginning of the attack Sergeant Proctor was inside a hardened barracks area and relatively safe from the indirect fire being aimed at OP 293. However, without waiting for orders to do so, he donned protective equipment and, taking his rifle, left the safety of the barracks to offer his assistance to the Iraqi security force. As Sergeant Proctor entered the main area of OP 293 the insurgents begin attacking with both direct and indirect fire. What appeared to be a complex attack on the Out Post was soon discovered to be an attempt to divert attention while a heavy dump truck, loaded with explosives, was used to crash through the main gate of the OP. Seeing the truck heading directly for the center of the OP, Sergeant Proctor recognized the danger to others and stood his ground. He did not waver, he did not flinch and fired over 25 rounds from his M-16 rifle into the front windshield of the dump truck, killing the driver and stopping the truck before it could reach the center of the compound. The dump truck exploded and Sergeant Proctor was mortally wounded. His actions stopped the enemy from reaching their objective and saved countless lives of others in the OP. His actions were heroic and embody the warrior ethos by his selfless courage. 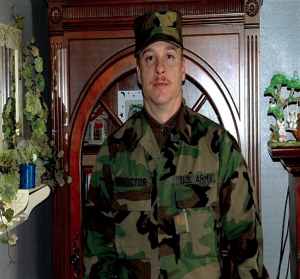 Sergeant Proctor’s actions were in keeping with the highest traditions of the military service and bring great credit upon himself, his unit, and the United States Army. 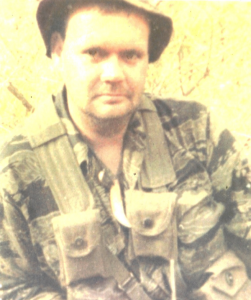 The Distinguished Service Cross was awarded to Lieutenant Colonel Fredrick Spaulding for acts of gallantry in action against an armed hostile force, while serving as the Assistant Operations Officer, Headquarters Company, 3rd Brigade, 101st Airborne Division (Airmobile) during the withdrawal of Fire Support Base Ripcord in the A Shau Valley, Republic of Vietnam, on 23 July 1970. The then Captain Spaulding voluntarily left Camp Evans to provide direct aid to the besieged Fire Support Base and the two companies awaiting extraction. He took command of a Scout helicopter and joined the battle to locate, mark and direct fire from all available land and air assets against enemy positions. While taking intense fire he exposed himself while marking enemy positions with smoke grenades and coordinating multiple fire teams resulting in devastating results. When he had exhausted his supply of smoke grenades, Captain Spaulding fired his sidearm at the enemy until his helicopter was crippled and returned to Camp Evans. When the helicopter pilot refused to return to the battle, Captain Spaulding procured a second helicopter and returned to the battle. When the second helicopter was damaged by enemy fire, Captain Spaulding returned with a third helicopter. When he returned to the battle with yet a fourth helicopter, he continued supporting the evacuation of the two besieged companies by continuing to draw fire upon himself and the aircraft. Captain Spaulding’s daring acts of courage in the face of an overwhelming and determined enemy reflects great credit upon himself, his unit, and the United States Army. 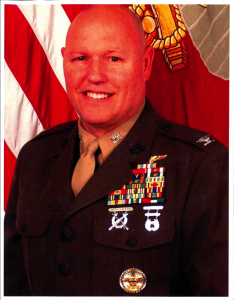 Colonel James Sweeney, born and raised in Indianapolis, has devoted his life to service and support of others. Commissioned from the US Naval Academy, James Sweeney spent the first nine years after graduation as an active duty Marine. He served in Desert Shield/Desert Storm, resigning his active duty commission after Desert Storm to return to Indiana to care for his ailing parents. Continuing in as a Marine reserve, he entered Notre Dame Law School, was president of the Military and Veterans Law Students Society, performed legal aid work, continued fund raising efforts for numerous not-for-profit organizations and served as the editor-in-chief of the Notre Dame Law Review. He was returned to active duty for one year of duty for the Aviano Courts Martial at Camp Lejeune, NC. During that year he returned to Indianapolis on a monthly basis to take on a civic leadership role even before his full-time return to Indianapolis. Governor Kernan awarded him with the Sagamore of the Wabash for his contributions and the Indianapolis Business Journal named him on their “Forty under 40” list. A member of numerous civic boards and activities, Senator Lugar named Colonel Sweeney as Chairman, Naval Academy and Merchant Marine Selection Boards in 1999. He then transitioned on that board to Senator Coats’ board and has been asked to serve on Senator Donnelly’s boards. He served for nearly 10 years for Senator Lugar’s annual Academy/ROTC/Guard information days for high school seniors and their parents. Colonel Sweeney provided pro bono legal assistance for numerous veteran organizations, veterans and their families since he began the full-time practice of law. He is the current president-elect of the Reserve Officer Association of the United States and the Naval Services. Colonel Sweeney works to assist in the employment of veterans and serves as Secretary of the STARS Foundation Board where he meets with corporations to assist employment of veterans. Colonel Sweeney annually supports the Indiana Military Appreciation Day for veterans and volunteers to serve on the Indiana State Armory Commission Board and the Indiana War Memorials Commission Board. 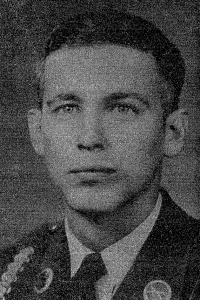 The Distinguished Service Cross was awarded, posthumously, to Sergeant Robert J. Williamson for extraordinary heroism in connection with military operations involving conflict with an armed hostile force in the Republic of Vietnam. While serving with Advisory Team 100, he distinguished himself by exceptionally valorous actions on 31 January 1968. While moving along a canal south of the city of Saigon, Sergeant Williamson’s unit was attacked by an estimated Viet Cong Battalion firing automatic weapons and rockets. He braved withering fire to lead his men in an assault across one hundred and fifty meters of open ground to a dike wall from where he directed devastating fire on a determined enemy. When his machine gunner was wounded and fell across the dike, Sergeant Williamson braved enemy fire and crossed the dike to bring the wounded soldier back to safety. In order to mark the enemy position with smoke grenades for accurate air support operations, he moved across the dike and open ground to an area close enough to the enemy positons to throw grenades marking those positions. Several Vietnamese soldiers and a fellow advisor had advanced to a small house forward of the friendly lines and were pinned down by a vicious Viet Cong barrage. Completely disregarding his own safety, Sergeant Williamson led an assault directly into the face of hostile weapons to relieve the trapped men. In that assault he was mortally wounded. His fearless actions inspired his men to continue the attack, overwhelm and decisively defeat the enemy forces. Sergeant Williamson’s extraordinary heroism and devotion to duty, at the cost of this own life, were in keeping with the highest traditions of the military service and reflect great credit upon himself, his unit, and the United States Army.